The church of Hanzo might be real, but I bet their tenets forbid pushing the payload. You might think you like Overwatch, and you might even like Hanzo, but do you like Hanzo enough to found a church to worship him? One fan in Brazil did exactly that - not because he loves Hanzo so much, but just to show how easy it is to found a religion there. The fan is one Mateus Mognon, who wrote a lengthy post (translated by Google) explaining the process and reasoning behind the idea. Basically, it was an experiment to show just how easy it is to create a religious institution in Brazil, and thereby avoid paying taxes in many cases. All Mognon needed was a physical address, five people to sign on, a lawyer's signature, and some fees. 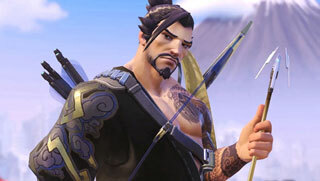 A few days later, he was the proud founder of the Hanzo National Church. It's a very interesting read, but we're more concerned about the religious implications of not pushing the payload. Can you get to heaven without pushing? Or does sniping profit you more?